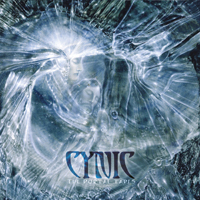 After Cynic legendary “Focus” (1993), Sean Reinert, Paul Masvidal and Jason Gobel recorded demos in 94-95 for a new project called Portal, with the bassist Chris Kringel, later member of Cynic, and Aruna Abrams (vocals, keyboards). A step forward was only taken in 2004, with the releasing of three Portal songs on “Focus - the expanded edition”: “Endless Endeavors”, “Circle” and “Cosmos”. I received in January 2012 an e-mailed newsletter from Season of Mist, announcing “The Portal Tapes” limited to 5000 CDs and 1000 vinyls. I sent my pre-order immediately. I have just received the digipack: see the big smile on my ugly face. Portal has no death metal elements. The distorted rhythm guitar parts are standing back in the mix. The etheral side is the key... of the portal. The style can be defined as progressive rock, with pop and fusion. Portal can be considered as the missing link between “Focus”, Æon Spoke, Aghora and Cynic, since the band reformation in 2007. This fact, added to the quality of the music, makes “The Portal Tapes” essential. Abrams’ voice goes well with Masvidal’s. I like especially her singing on “Mirror Child”, in total symbiosis with the guitar arpeggi and their chorus effects. It has been done before but it is working beautifully with this song.